On January 23 Krewe What Thou Wilt rolled for our second year with Krewedelusion, kicking off the Mardi Gras 2016 season. 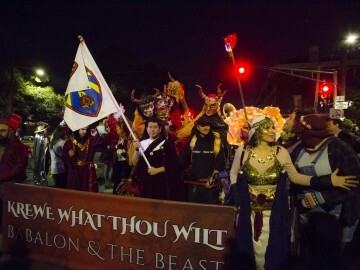 Krewedelusion’s theme for the year was “Carnival Politics”; Krewe What Thou Wilt’s interpretation took the form of “Babalon and the Beast”. 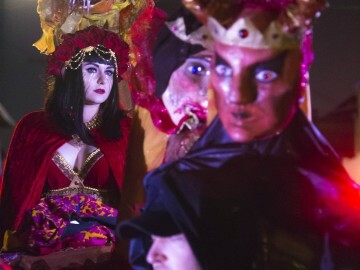 An article by Ariel Moon on Krewe What Thou Wilt was featured on Zero Equals Two on Mardi Gras Day. To view original article with all images, please click here.